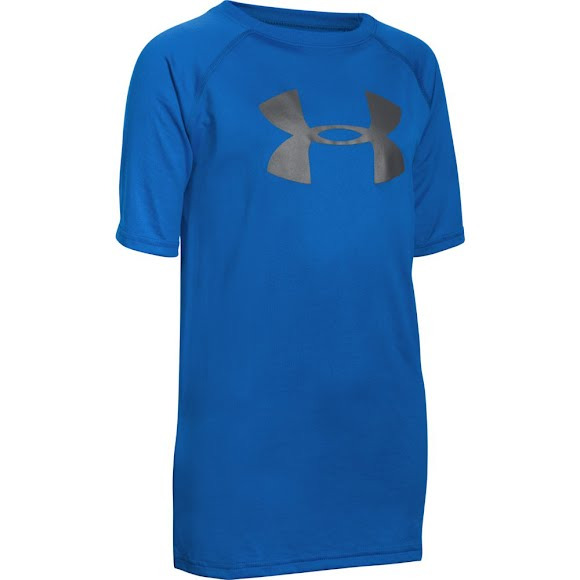 Say it loud, play it proud with Under Armour's Big Logo UA Tech T-Shirt. This shirt may look like a ordinary shirt, but it has the performs like Under Armour. UA Tech material works to keep you cool by wicking away sweat, so it won't ever weigh you down like regular cotton will. Say it loud, play it proud with Under Armour&apos;s Big Logo UA Tech T-Shirt. This shirt may look like a ordinary shirt, but it has the performs like Under Armour. UA Tech material works to keep you cool by wicking away sweat, so it won&apos;t ever weigh you down like regular cotton will.